Panduit StrongHold™ Standard cable tie in black color, features premium nylon 6/6 material construction for added durability. 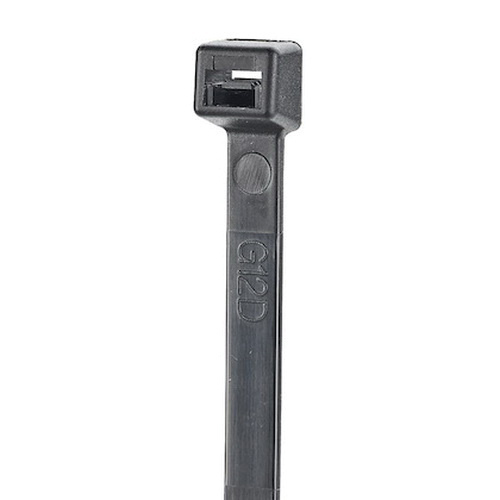 Cable tie with secure locking mechanism, is capable of holding wire and cable bundle of diameter 0.12 - 1.81-Inch. It has a maximum tensile strength of 50 lb and operating temperature rating of -40 to 85 deg C. The 0.05-Inch thick cable tie has a dimension of 7.4-Inch x 0.19-Inch. It is perfect for general-purpose applications. Cable tie is UL listed and RoHS compliant.